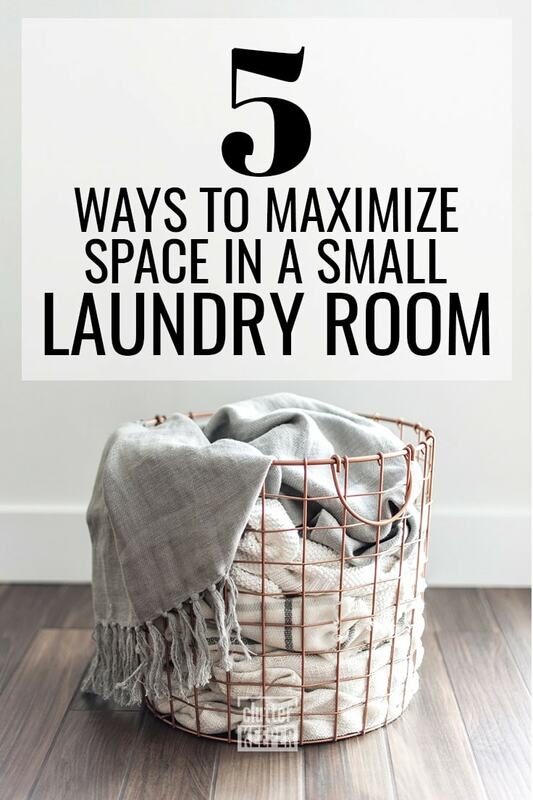 Is your laundry room tiny? We are here to help you organize and maximize your space with these 5 small laundry room tips. Whether you are living in a tiny apartment, or your laundry room isn’t as massive as you had imagined it would be, the struggle of a small laundry room can be felt the first time you walk in. If you live in an apartment, your laundry room may even be more like a laundry closet than an actual room. Regardless of how you ended up with your small laundry room, we are here to help you maximize your space and make the most of your small room. Laundry room organization is achievable with these 5 space-maximizing ideas. Let’s look at some ways to maximize the space you have for your laundry room. These ideas will work even if you have a space as small as a closet for your washer and dryer. One of the most successful parts of a small laundry room is your ability to use the available space you have on hand. This may mean replacing the amazing artwork for a place to store your supplies. Hanging bins on the walls, or even a rack, to store your detergent, dryer sheets, fabric softener, and other supplies can help you utilize the wall space, and save the shelves for bulkier items. Instead of using your shelving area for hanging clothes or trying to find a place to put a clothesline, turn your ceiling into a drying rack. Your laundry room ceiling is the perfect place to create a ladder-like drying rack that you can hang from the ceiling and allow those garments to hang without getting in the way. Here’s a space-saving tip: hang up an old ladder from the ceiling for hanging up clothes or drying delicates. It might take up less space than a drying rack. One of the main reasons many laundry rooms seem small is inadequate storage options. If you need to, use some of the wall space available to add additional shelving. Use any unused corners to add shelving and keep lighter items and even decor on these shelves. Adding shelving can also help you maximize the vertical space in your laundry room and allow you to save the area above your washer and dryer for items that need to be hung. Don’t just think of wall shelves, either. Consider putting your washer and dryer on a pedestal and putting drawers underneath. If shelf space is limited, consider corralling your items into storage containers and baskets to help keep things organized. 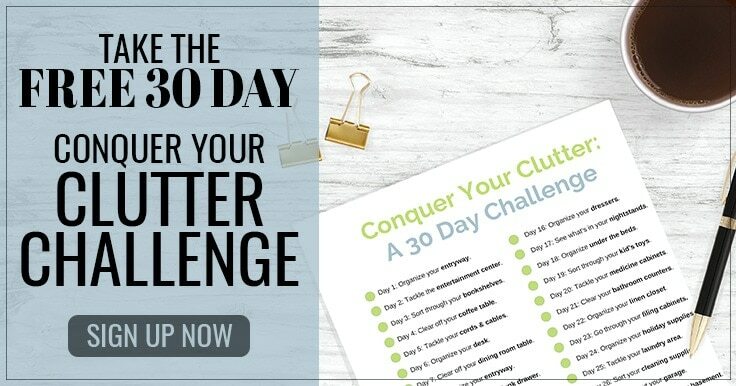 This is also a great way to store bulkier items such as your iron, drying racks, and any other items that don’t need to be kept out all the time. If your bins aren’t at eye level, remember to add labels to the bins to make sure you know what’s in each bin. 5. Don’t forget about your doors! If your laundry room or area has doors, don’t forget to use them to your advantage. Use over the door hooks, hanging organizers and wire racks can be used for additional storage that is kept out of sight when you don’t need it. If your laundry room does not have doors, consider adding a curtain or a room divider to separate your laundry room, and hang additional storage systems. Angela, from Blue i Style, has a really small laundry closet. She installed shelves to her doors and that is where she stores her detergents and small containers. Laundry detergent packs – If you have kids, keeping them this accessible isn’t a good idea. 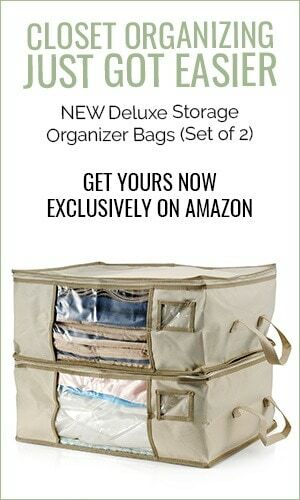 But if you don’t have small children, you can store your detergent packs in a hanging organizer. Whether you’re looking for more storage or just a way to organize your small laundry room, these five ideas will transform your tiny space into a well organized and functioning laundry room once again. Now that you have even more space in your small laundry room, here are some more organization articles for other rooms in the house. Pantry Storage Mistakes and How to Fix Them – Are you making any of these pantry storage mistakes? 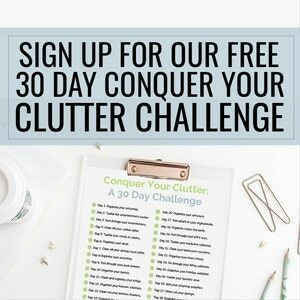 How to Get Rid of Your Junk Drawer – Yes, we all have one. But here is how to finally get rid of it, for good. 10 Creative Ways to Hide Cord Clutter – Some of these are so genius, you’ll wonder why you didn’t think of them first.